"Loving this! 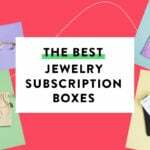 This is seriously the prettiest and most thoughtfully curated box." Margot Elena Discovery Box Summer 2019 – Spoiler #1! "I love this beautiful vessel. I have several stainless steel water bottles that keep things cold. I’m goin..."
"Saw that in the website also Zoom in the sneak peek pic and the tube shows 30ml....Maybe new packaging? The bo..."
Look Fantastic Beauty Box May 2019 FULL Spoilers!